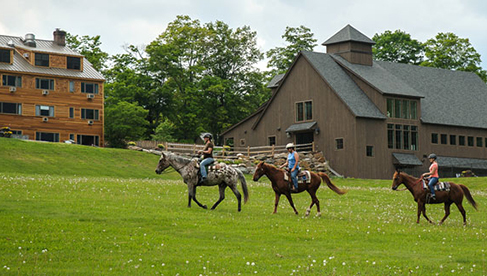 Residential summer camp for girls with traditional hunt seat horseback riding program located in the Blue Ridge Mountains of Western North Carolina. 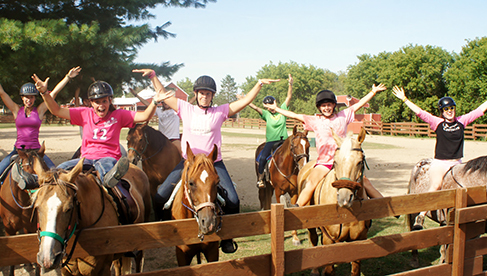 A summer camp for girls who love horses and want to become horsewomen. Coolmine Equestrian Academy Dublin is a top class equestrian holiday facility that provides youth camps during the Summer & Easter holidays. 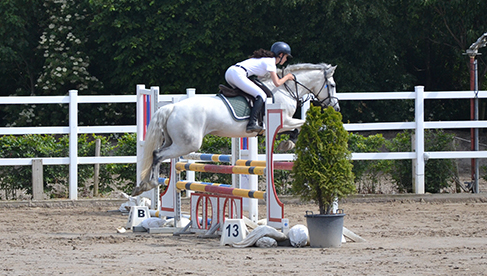 CEAD-Ireland is the premier equestrian holiday provider for adults and teenagers. Learn to ride in South Africa! 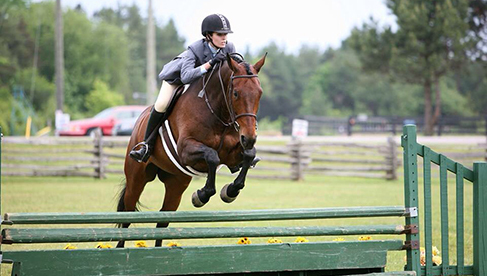 Welcoming children and teens ages 8 -16 for Overnight Children's Pony Camps focused on riding lessons, mounted games, jumping, how to care for horses, basic stable management and trail riding with horseback rides on the beach. Children's Summer Horsemanship Camp in Vermont is a fun learning experience for children ages 6 - 12 from July 1 to August 22. 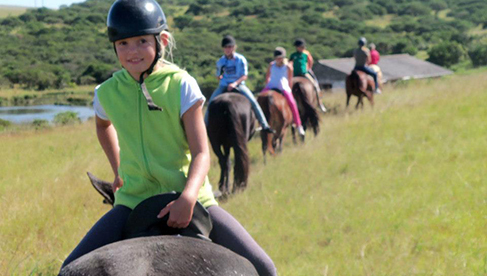 Kids learn horsemanship and how to ride while parents enjoy the resort's variety of activities. 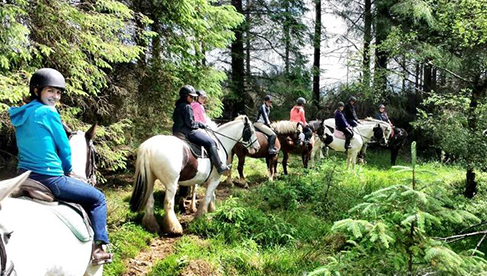 Picturesque mountain hideaway in Co. Wicklow ‘The Garden of Ireland’, only one hour from Dublin Airport, offering adult and children's riding holidays. 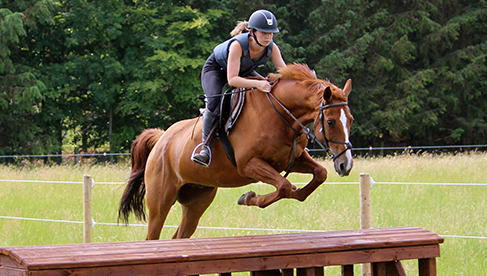 Equestrian training in show jumping, cross country and pony club riding. 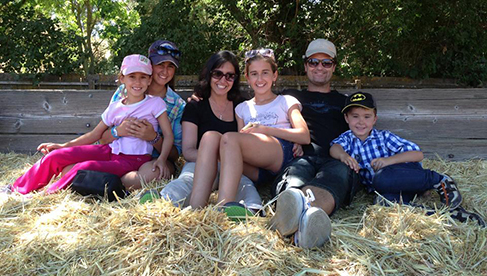 150 year old famous cattle and guest ranch which offers a wonderful children's ranch program...fun for all ages in a family camp environment in California. Sky Ranch offers children and families a life-transforming camp experience in a fun, Christ-centered environment in which to learn, explore, and grow. With 60 years of experience, this camp has three locations in Texas, Oklahoma and Colorado. 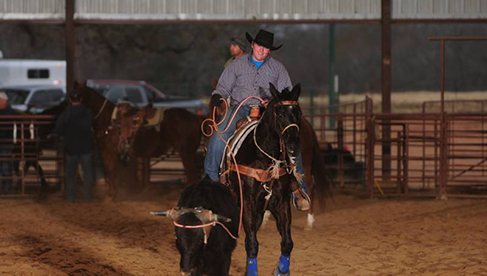 Teen Ranch is a Christian sports camp hosting elite hockey and horsemanship, outdoor recreation and retreats. 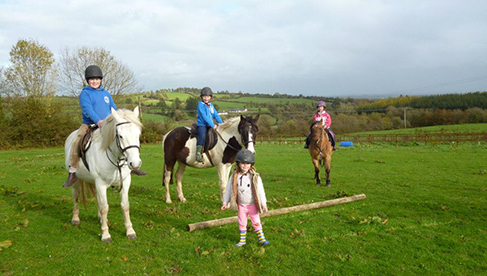 Family friendly horse riding stable in Tipperary, Ireland with a popular children's horse camp, residential riding holidays, family camps, pony camps and courses on horsemanship. 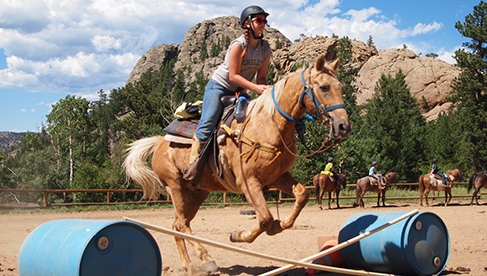 Cheley Colorado Camps is an accredited summer camp located in the Rocky Mountains of Estes Park, Colorado with top backcountry riding trails, healthy, robust horses and a caring, knowledgeable staff who provide instruction in good horsemanship and many other facets of caring for horses. 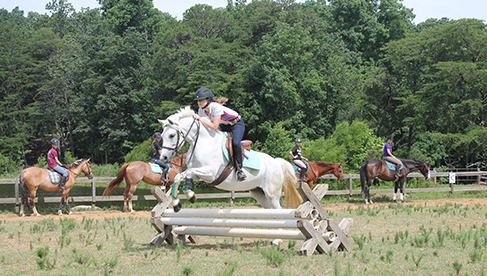 Summer Equestrian Camp for Girls located in Northwest Georgia. 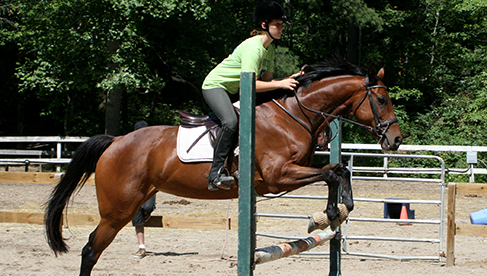 Vaulting, Hunt Seat Equitation, Western Riding, Pony Club, Barrel Racing and more.